Have you seen clear what's the picture showing? 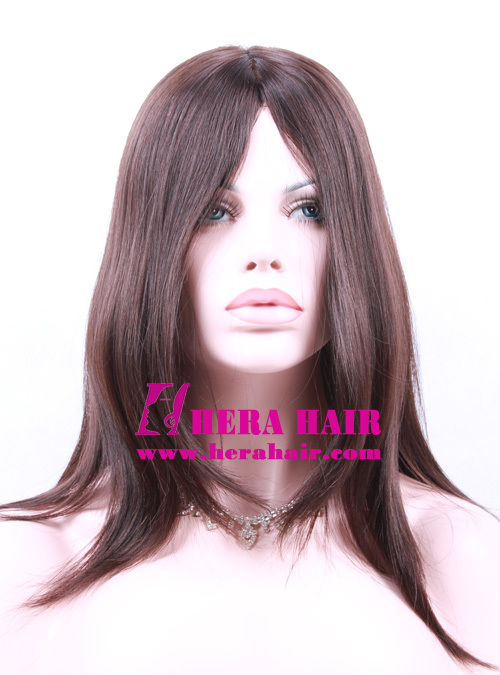 It's Hera's 14 inches #4 straight 120% hair density European hair Kosher women wigs inside front picture. Yes, it's not back of wig. Wow, it's really very high hair density for front. Yes, that's what Hera updated Kosher women wigs according to Kosher wigs market requirement. You can part the hair to two side and you even can cut the front hair of wig short then you will have a beautiful fringe. 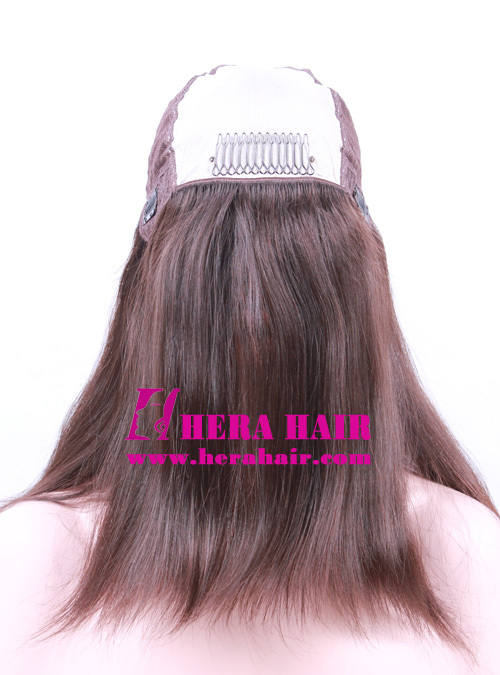 Hera's European hair Kosher women wigs both use all same hair to made so the final total hair length (from crown to end) will be longer about 3 - 4 inches. 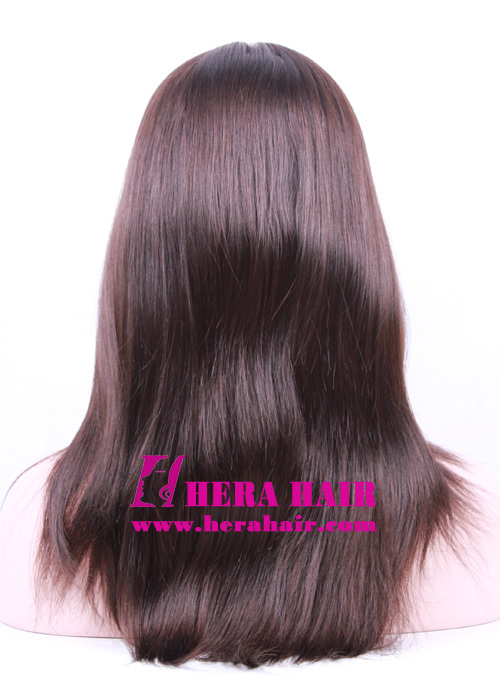 Hera mainly wholesale European Kosher women wigs to Jewish women. 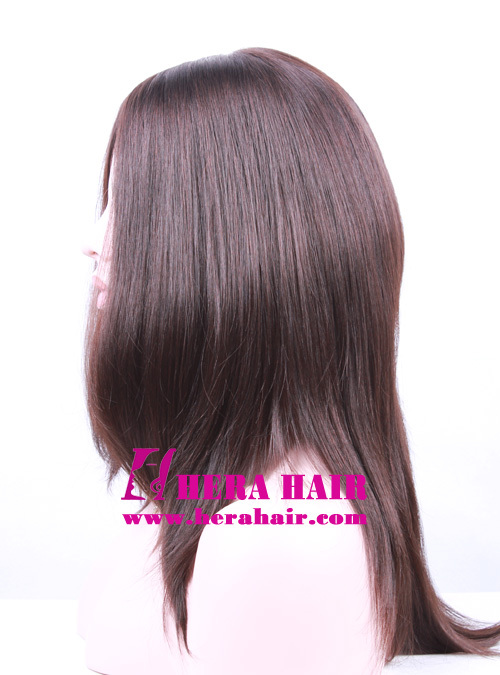 The pictued Kosher women wigs is our regular Kosher wigs, we also can adjust the hair density and silk top area according to customer's special requirement. 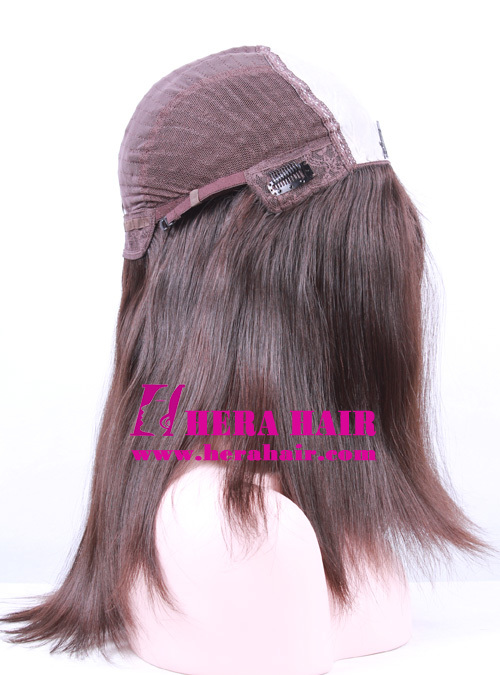 Do you want to wholesale Kosher women wigs, it's MOQ is only 5pcs start. If you are interested in wholesale Kosher women wigs, please feel free to let's know your business situation and talk the wholesale business. And we welcome you place Kosher women wigs sample to check our European hair quality and our techniques. Remember Hera's Kosher women wigs is world fist class, do you want to try?